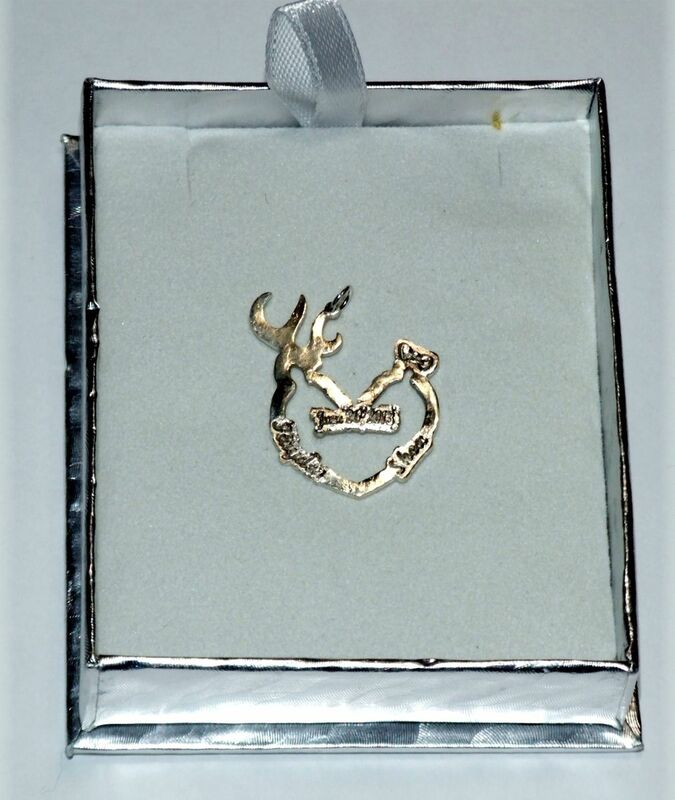 Custom Sterling Silver charm using the customer supplied drawing. 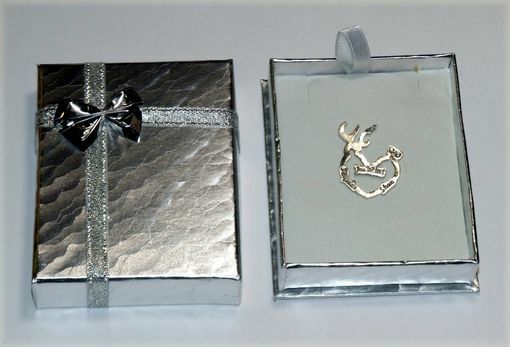 The material used is Sterling Silver for the charm and the jump ring. The characters are raised up from the surface. 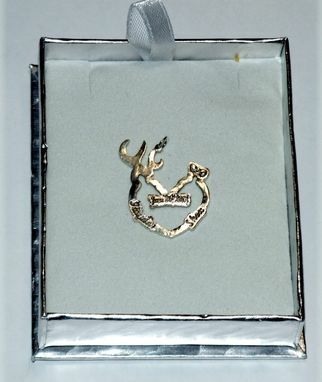 In addition to the characters, a bow is added above the doe. The approximate size is 1 inch high and 3/4 inch wide. No necklace included, charm only. 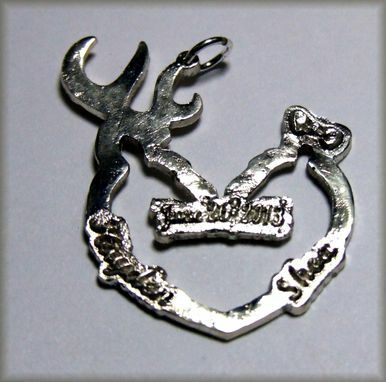 The head of the buck and doe are formed from the cutout section of the charm.